Echocardiograms use ultrasound technology to obtain information about the heart's structure and function. At his practice in New York City, Dr. Herbert Insel provides state-of-the-art echocardiogram evaluations to help patients throughout Manhattan and the surrounding area identify new issues and treat existing concerns. An echocardiogram is a diagnostic imaging test that uses ultrasound energy to obtain images and video of the heart so its structure and function can be assessed. Echocardiograms provide highly-detailed images of the heart muscle as well as the valves and other related structures. The imaging test is often combined with cardiac stress testing to obtain images about how the heart works while under stress, comparing images and video of the heart before exercise and immediately afterward to look for abnormalities that could indicate a disease. Echocardiograms are painless and non-invasive, requiring no anesthesia or incisions and using no radiation. Echocardiograms are performed on an outpatient basis, sometimes as part of a regular office visit and sometimes during a special visit which may also include a stress test. Echocardiograms use a special handheld device called a transducer to painlessly send ultrasound waves through the skin. These waves “bounce” off the heart and send data back to a computer that interprets the information to create images of the heart. Both video and still images can be obtained. Like other types of ultrasound tests, echocardiograms are usually performed in a dimly-lit room to make it easier to see the images as they're being produced. Prior to the test, patients will be asked to change into a medical gown, and a special water-based gel will be applied to the skin or the end of the transducer to make it easier for the device to make contact with the skin as it passes over the treatment area. "He is understanding but not assumptive, and really took the time to explore all possible answers to the questions I had." "Hands down the best doctor in New York City. Spends more time with you than any other doctor; extremely thorough." "Dr. Insel is the most compassionate and knowledgable doctor I have ever met. I wish every doctor would have his bedside manner-I would go to doctors more often." "Dr. Insel is very personable and caring I came to him when I was at my worst and he ensured he provided the best care." "I love him, my doctor for 25 years, the best. I've sent 10 people to him..."
"Dr. Insel is incredibly competent and caring." "Dr. Insel is a thoughtful and thorough doctor who cares very much for this patient's physical and emotional wellbeing." "All good! Takes the time to explain everything in depth." "His service made me feel like I was his only Patient." "Made me feel like I was very important." "He's a knowledgable cardiologist, who's down to earth. He has always been spot on his diagnoses." "Over ten years Dr. Insel has proven to be a caring and excellent physician." "His mantra of "moderation in all things" that we use to shrug off has proven to be the most valuable in taking care of one's health and/or effectuating changes." "As I write this I am being given tests necessary to make sure that I am healthy and doing the correct practices to stay that way." "I have had Dr. Insel as my primary Dr. for many, many years and I feel much better because of him and his staff." "Dr Insel is a superb clinician; his office staff is kind, professional and efficient." "I love the fact that he performed the echo and stress echo himself and not a technician. He was extremely knowledgeable." "He is so thorough and so knowledgeable and gives you ample amount of time!" "My mother has been a patient for 25 years. Dr. Insel is an excellent cardiologist. He is caring, compassionate and treats her with kindness and dignity." 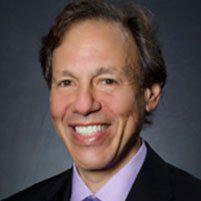 "Dr. Insel has been my internist/cardiologist for more than 20 years. I highly recommend Dr. Insel to anyone needing a general internist with a specialty in Cardiology."